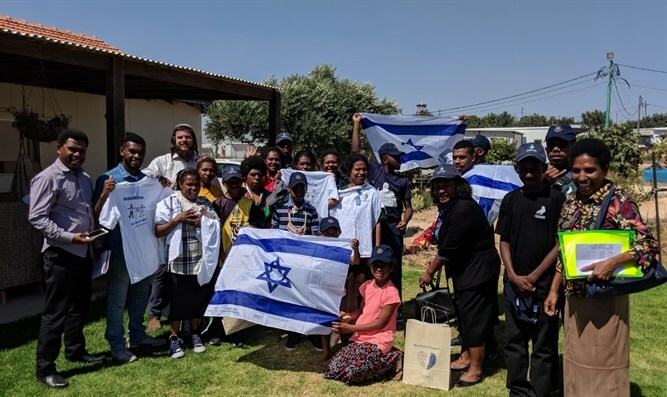 A group of tourists from Papua New Guinea visited Judea and Samaria as part of a project organized by the Lev HaOlam Organization. 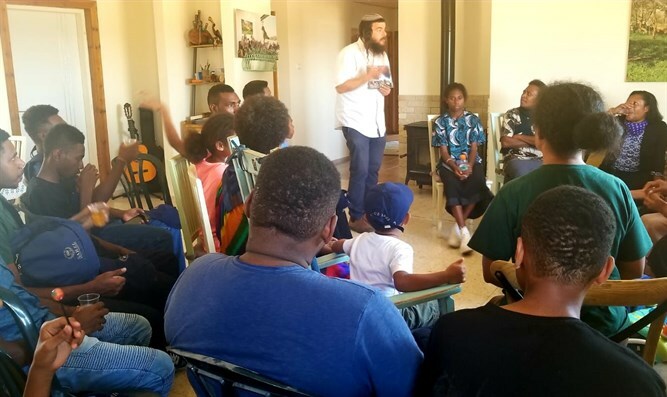 The group, consisting of about thirty members, first arrived at the home of Lev HaOlam founder Attorney Nati Rom, who told them about Judea and Samaria history and the connection of the Jewish people to the region. Rom also told them about intentions of the boycott organizations and the BDS movement against Israel. He explained the false narrative spread by these groups and how their true goal is the elimination of Israel as a Jewish state. Rom further told the visitors about industry in Judea and Samaria and the need to strengthen the economy, which will in turn strengthen the Jewish pioneers living in the region. The visitors expressed significant interest and promised to remain in contact. In a video taken during the visit, a couple is seen telling about their love for the State of Israel and how they came “in order to see for themselves how the land of Israel is being settled by the people of G-d.” They also explained there are many people who support Israel in Papua New Guinea and that they are always excited to receive packages with products from Judea and Samaria sent by Lev HaOlam each month. Lastly, they concluded by detailing how they brought their children with them so that they too would learn about Israel and see the Jewish pioneers in Judea and Samaria with their own eyes. As part of its fight against the boycott, Lev HaOlam sends packages every month to citizens in over 43 countries around the world. The packages include products made by small businesses in Judea and Samaria. In addition, Lev HaOlam organizes tours for groups from abroad and also sends speakers to give lectures around the world. After the visit to Rom’s home, the visitors continued to the archeological site of Ancient Shilo where they saw the remnants of the Tabernacle and learned about the history of the area. “The responses were exciting and moving,” said Rom. “After dreaming for a long time, these tourists were finally able to come visit and even bring with them members of the younger generation to experience Judea and Samaria. The visit was quite heartfelt and profound. We have a very warm relationship with the community in Papua New Guinea and will continue to remain in contact even after the visit. The efforts we place in cultivating our relationship with these and other citizens abroad is the eternal answer to the boycotters, who are trying to prevent Judea and Samaria's economic development. 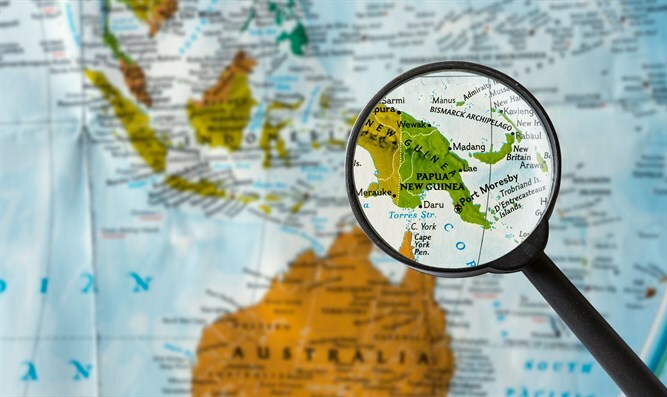 "Visiting residents from abroad return to their home countries with significantly more knowledge of the Land of Israel and the Jewish people’s connection to it. They are then able to act as ‘ambassadors’ for Judea and Samaria around the world,” Rom said.